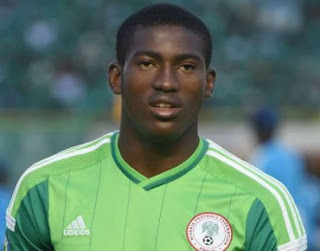 Nigeria U-20 striker, Taiwo Awoniyi, has moved closer to joining top French club AS Monaco after the French outfit tabled “a far better deal” than what Portuguese club FC Porto are willing to splash on the striker. It was gathered from one of the agents working on Awoniyi’s transfer that Monaco are now in pole position to sign the highly-rated striker, who scored twice and provided two assists at the FIFA U-20 World Cup in New Zealand. Awoniyi was favourably disposed with starting his pro career in Europe with Porto alongside Chidera Ezeh, who he has played together with since their days at the Nigeria U-15 side. He could well have signed for Porto before the start of the U20 World Cup in May, but his representative and former international Seyi Olofinjana hedged on the deal. That was enough time for Monaco to put through a better deal financially for the player as well as favourable to his career as he has been promised a place at least in the first-team squad as against starting out with the U-19s at Porto. “Monaco have a far better deal than Porto proposed to Awoniyi and he is now most likely to take up this offer,” a source informed AfricanFootball.com. The 17-year-old Awoniyi has been courted by several top European clubs including Real Bull Salzburg of Austria, Heerenveen in Holland and newly-promoted Kayserispor from Turkey. Tunisia’s Esperance also want to break the bank for Awoniyi.